By Electrolysis pure Titanium and its alloys react with the oxygen produced by the water electrolysis and a Titanium Oxide layer is formed on their surface. This oxide layer filters the light waves as a prism. Depending on the layer thickness related to the voltage, the light reflects and retracts on the surface of the oxide and a wide range (spectrum) of bright colors is formed. 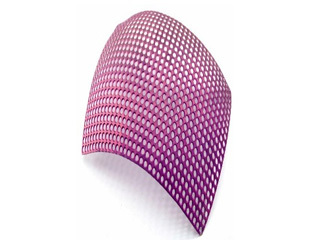 Titanium Coloring (Anodizing) is used in Optics, Dentistry, Jewelry, Watchmaking etc.